All that way for nothing! For his most recent voyage, Cyril Despres set his course for Australia, to take part in the Australasian Safari, an event that was missing from his globe-trotter’s log-book, and the change of scenery was genuine in more ways than one. The rally he discovered on the other side of the planet is in fact diametrically opposed to what he is used to: “I had been wanting to go for a while. However, what I found was a race without navigation, in which you can ride for 300 kilometres on a track that follows a fence! It wasn’t in phase with my idea of rally-raids. I also noticed that the competitors who were there to win were riding with their ‘brains turned off’, so I soon decided that I was just going to take advantage of the race to get some kilometres under my belt without taking any risks. In the end, I was in 3rd place when I injured myself by hitting my foot on a metal post. At the time, it really hurt and I thought I had broken it, but the impact merely compressed the tendon. 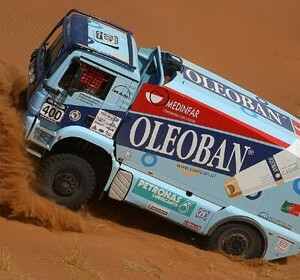 I had to drop out, but, all in all, it only disrupted my preparation for a week and now I’ve been able to get stuck back in without any problems”, explains the three times winner of the Dakar, who doesn’t regret the unusual programme of competitions he undertook this year. “I’ve had to cross the Atlantic Ocean seven or eight times this year”, says Cyril, who has strayed from the traditional meetings in the discipline. He claims that the rich variation of his path through the year is both due to the mental freshness that discovering new events demands and the obligation to constantly adapt to new constraints. 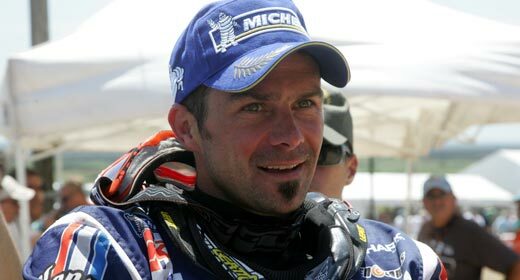 More importantly, his sole victory this year, picked up in Brazil, will have almost certainly served as a test for the Dakar, his next goal: “On the Rally Dos Sertoes, I was involved in a uniquely intense battle with the Brazilian rider Felipe Zanol. In the last five days of the race, we were neck and neck, with only 2 minutes separating us at the overall finishing line. I even beat him in a stage of more than 500 km by no more than a tenth of a second, and it was only in the last special stage that he made a slight mistake. At our level of riding, there wasn’t the slightest room for navigational errors, not even for just 100 metres! If he takes part in the Dakar, it will be good news”. Indeed, Zanol will be racing for KTM Brazil and could be one of the rivals to keep an eye on for Despres, who will also be experiencing a new type of rivalry with Marc Coma, the other three times winner taking starter’s orders: “What’s new is that we have toned things down a bit and the four official KTM riders, him with his team-mate and me with Ruben (Faria), will be flying the same flag. What I’d like to see is that thanks to this healthier situation, the title will be won on the tracks and not due to penalties handed out”. After the thousands of kilometres of competition, the Frenchman will be devoting the next few weeks to fine-tuning his fitness.